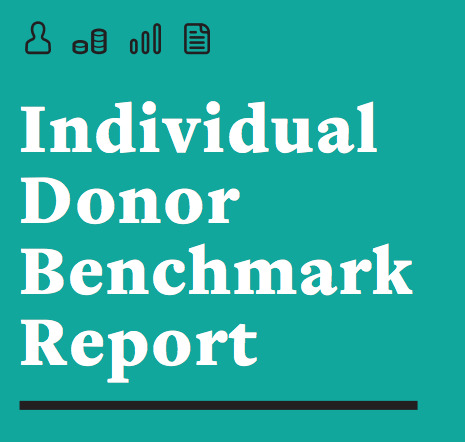 Thank you for your interest in the Individual Donor Benchmark Report - fundraising data for small and mighty organizations. The updated 2016 findings have just been released. Click here to get the latest data report. To read and download the 2015 report and infographic, simply fill out the form below. The report includes more than 60 pages of data and analysis. Note: you are also signing up for Third Space Studio's monthly free newsletter. Unsubscribing is easy, if you should decide you don't want to receive it. The Individual Donor Benchmark Project is our pro-bono passion project. If you'd like to support this work - and grassroots nonprofit fundraising - click here to make a donation. Note: your gift, while greatly appreciated, is not tax-deductible. Would you like to be part of the upcoming Individual Donor Benchmark Project? Note: if you have previously downloaded the report, you may receive an error. Our apologies! We are working on a solution. Please email heather(at)thirdspacestudio.com to receive a copy of the report.